Welcome to the fifth post in the Content Types series from Horizon Peak Consulting. As we roll out the 8 posts we have planned for this series, our goal is to help you see new opportunities for engaging your target audience and making more sales with your marketing content. In fact, The Radicati Group, a technology market research firm, estimates that the average business user receives 125 emails a day. Despite the explosion of so many other communication channels, like social media and instant messaging, email is still king. Don’t believe me? Research by HubSpot found that 86% of professionals prefer to use email for business communication. And email use is only growing: The number of active email accounts is expected to hit 5.6 billion by 2020. Maybe that’s because companies still see an incredible return on investment (ROI) from their email marketing spend ($44 for every $1 spent). So how can you leverage this information as part of your marketing strategy? When you think of content marketing you probably think of things like white papers, case studies, or blog posts. And those are definitely key components of a sound content marketing strategy. 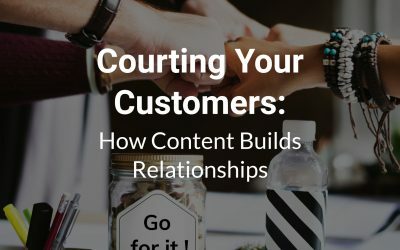 Email is a core component of every content marketer’s toolbox, and when done right, a good email newsletter strategy can strengthen your relationship with your audience. An email newsletter is an email that goes out on a regular basis to a list of subscribers. It usually contains educational content, either about the business or the industry. So what’s the difference between an email newsletter and other types of marketing emails? Newsletters are delivered regularly and contain primarily educational and informational content — and its purpose is to stay in touch (and top of mind) with the recipient, and maintain a relationship over time. A marketing campaign or drip sequence, on the other hand, typically includes a strategic series of emails delivered on a calculated timeline — and its purpose is to persuade the reader to take a specific action. While many brands in the B2C world use email newsletters to stay in touch with their customers, they’re especially valuable in the B2B space, where the sales cycle is longer, and businesses need more time to nurture their leads. I’ve talked before about the value of creating educational information for your audience. Well, the same principle applies with email newsletters — you’re just using a different vehicle to deliver relevant content to them where they already are — in their inbox. 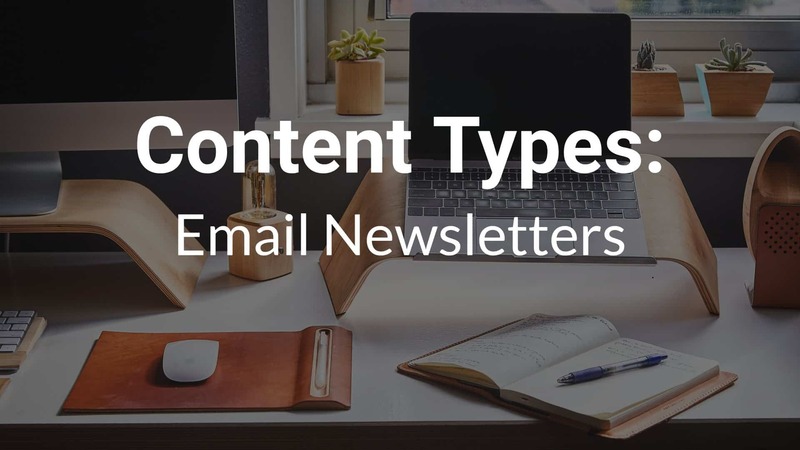 You can even use your email newsletter to drive traffic back to your site and your most popular articles (as long as they’re relevant — which of course they are!). Just remember: The idea here is not to sell — the idea is to build relationship. Showcase Workshop does a fantastic job of this with the email newsletter they send to their Showcase users. It’s full of fun facts, delightfully displays their company personality, and provides helpful tips and inspiration that is highly relevant to the audience reading the newsletter. The beauty of an email newsletter — when it’s done right, of course — is that you don’t have to work at being “found.” You already have your audience’s attention. When someone subscribes to your list, they’re expressing an interest in what you have to say. By giving you permission to show up in their inbox regularly, they’re also giving you the opportunity to prove your value. And that is the start of building a relationship with them. 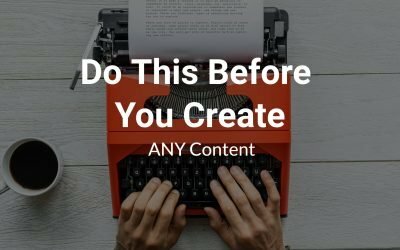 What’s the first rule of content marketing? Being allowed to show up in your audience’s inbox on a regular basis is a golden opportunity to do just that. When you provide valuable, relevant content to your audience — and ask for nothing in return — you establish credibility and trust. The great thing about an email newsletter is that it doesn’t have to be long. In fact, you can use it as a vehicle to showcase some of your recently published or most popular content pieces. Intercom does a great job of this with their weekly newsletter, Inside Intercom. 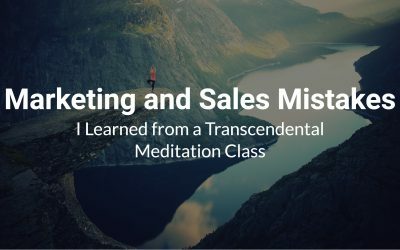 They always start with a story from the Intercom trenches — how they grew their business or a “lessons learned” moment — and include a link to a longer article on their site. But they go on to include a round-up of some of their other featured articles. Their content is helpful and insightful to their audience, and not directly related to the product they’re selling. And they’re driving traffic back to their website, where there might be more opportunities to engage. Another way to build trust? If you’ve seen a good article on the internet that’s relevant to your audience, you can bring it to their attention in your email newsletter. It’s generous while establishing your bona fides as a well-connected expert in your space. Intercom does this in their newsletter with a “What We’ve Been Reading” section, but other top-notch businesses do it too. 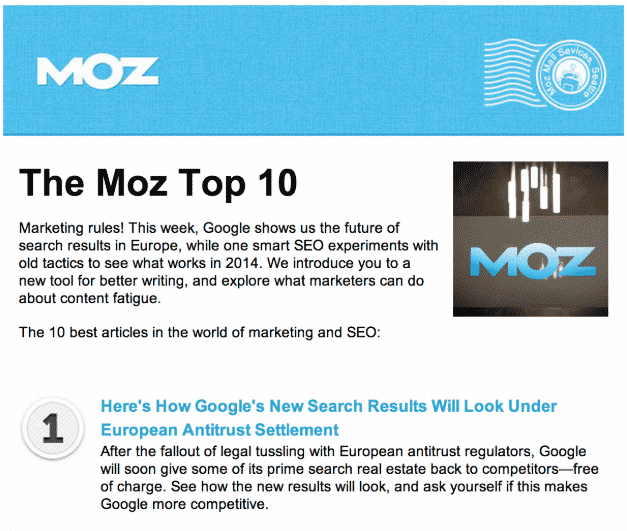 In fact, Moz publishes a semi-monthly newsletter called The Moz Top 10 that showcases the 10 most valuable pieces of content they’ve come across for SEOs. We’re all human beings. But I sometimes see too many companies in the B2B space get caught up in technical jargon and selling their “best-in-class” solutions. No matter how complex and technical your industry, your email newsletter doesn’t have to be buttoned-down and full of corporate-speak. In fact, it’s a great opportunity to be more personal. More … human. Even a small touch, like using your subscriber’s first name, can make an email feel more personal. And if you’ve segmented your subscriber list, you can provide even more tailored content. But even if you don’t go the full “personalization” route, you can still use your newsletter to show your personality. Still other brands use their email newsletters to showcase a quirkier side. CB Insights is a company that sells business intelligence to venture capitalists and C-suite executives — pretty serious stuff. Yet their newsletter is anything but. Not every brand could get away with this, but with close to 500,000 subscribers, their approach seems to be working. One of the best things about email as a marketing channel is that it’s measurable. Here at Horizon Peak, we’re big on measurable results. It’s how we know our content is working for our clients. Most email software platforms can give you a ton of insight into your subscribers’ behavior, from open rates to click-through rates, to spam complaints. That information is gold. Not only does it tell you what is resonating with your audience (and what isn’t), but it gives you a chance to adjust. The interactive element of your newsletter — the links you include, the CTAs — can act as a feedback loop on what you’re putting in it. And the more often you send your newsletter out, the quicker you can gauge response and make necessary changes. Email newsletters work because they satisfy a core element of good content marketing: They deliver valuable information to people who are hungry for it. 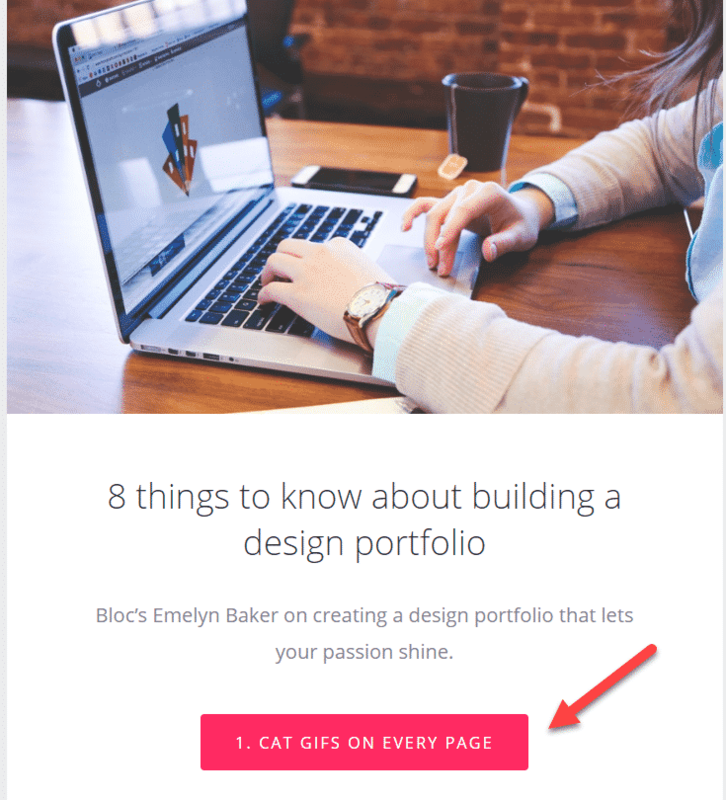 But an email newsletter isn’t just another medium for serving your audience. It’s another channel you can use to nurture your leads and stay top-of-mind outside of the purchase cycle. By showing up in their inbox on a regular basis, with insightful and helpful information, you continue to establish trust and credibility. You build a relationship. And relationships are what make the business world go ‘round.